SLOT Roll-out in the European central warehouse of Würth Industrie Service in Bad Mergentheim. Ten years of timeslot management at the Würth Group. (Freiburg i.B., 7.1.2019) Würth Industrie Service introduces timeslot management at the Bad Mergentheim location. As of January, the web-based SLOT system from the Freiburg software house Cargoclix will be in use to optimize the inflow control for the C-parts range. The aim is to avoid fluctuations in the volume of incoming goods and to distribute the number of incoming pallets evenly throughout the week. In addition, the company wants to reduce downtimes for service providers. “In the Würth Group, we have had the best experience with timeslot management in terms of transparency and planning reliability. For this reason, we firmly expect constant capacity utilization in incoming goods and noticeably reduced downtimes for logistics service providers right from the start of the system,” says Helmut Eisenkolb, Head of Logistics and member of the Management Board of Würth Industrie Service in Bad Mergentheim. Cargoclix was chosen because “the web-based system has been used successfully by the Würth Group for ten years and is also standard in the transport industry,” adds Eisenkolb. With Würth Industrie Service, one of the largest Würth locations has opted for the SLOT system. 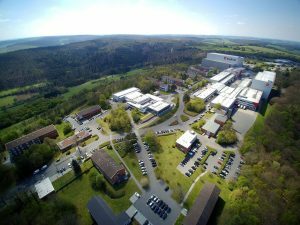 In the European central warehouse of the Adolf Würth subsidiary, the entire C-parts requirement of more than 20,000 customers is managed on 55,000 square meters. The logistics department alone employs 450 people. A specialized range of more than 1,000,000 articles forms the basis for industrial C-parts processing: in addition to DIN and standard parts as well as connecting and fastening elements, the product range also includes special and drawing parts tailored to customer requirements as well as auxiliary and operating materials and much more. Every day, around 35 trucks arrive at the ten incoming goods ramps. They are unloaded, the goods stored, picked, packed and shipped directly to the customers. Würth Industrie Service organizes the collection from 80 percent of its suppliers on its own initiative, a further 20 percent deliver free of charge. Timeslot booking is possible via SLOT from the time the order is placed and for free house forwarders between 30 days in advance and five hours before the desired delivery. The cost per slot is 50 cents. A booking is not obligatory, but anyone who delivers without a time window must accept waiting times. The Würth Group is regarded as a pioneer in timeslot management and hardly any company has more experience with modern ramp management. Adolf Würth GmbH & Co. KG in 2009 with the use of Cargoclix SLOT at the Künzelsau location. At the same time, a whole series of accompanying measures were implemented, above all a code of conduct in dealing with truck drivers. But it also includes state-of-the-art sanitary facilities and lounges with Internet and TV or guarded parking spaces for drivers. Since then, numerous Würth locations in Germany and abroad have been equipped with the web-based system. Cargoclix is a neutral Internet marketplace for the electronic tendering of transports and logistics services as well as a provider of modular timeslot management systems. The range of services offered by the logistics platform “Cargoclix TENDER” includes worldwide tenders for contracts for transports by road, rail, air freight, sea and inland waterway transport, courier-express parcel services as well as logistics services such as warehousing. With over 28,000 registered members from industry, trade and forwarding, TENDER is one of the leading international tender platforms for transport and logistics. The central product of the Timeslot Management division is the modularly adaptable software “Cargoclix SLOT” for optimizing processes at the ramp. With more than 50,000 members, SLOT is one of the most widely used timeslot management systems. Würth Industrie Service GmbH & Co. KG is a C-parts partner for the manufacturing industry. With individually tailored procurement and supply solutions, the company automatically supplies its customers with fasteners and fixing elements as well as auxiliary and operating materials. Würth Industrie is an independent subsidiary of Adolf Würth GmbH & Co. KG, Künzelsau, Germany. We would be pleased to receive a specimen copy!